The Hillsborough/Orange County Chamber of Commerce Board of Directors has elected Chad Collins as the President, along with a slate of several new Executive Officers and four new Board Members to serve in leadership roles with the Chamber. President – Chad Collins, Collins Design-Build, Inc.
As the owner of Collins Design-Build, a local custom home builder, Chad Collins brings a wealth of volunteer Board leadership experience, most recently serving as President to the Home Builders Association of Durham, Orange and Chatham Counties, where he led the HBADOC Board of Directors through a strategic plan, increased membership, improved retention rate and increased the balance sheet. Chad championed the association to adopt a more relevant Mission Statement. Chad’s goals as President of the Chamber include growing membership value and promoting member to member commerce. It is vital to the communities in Orange County that the Chamber of Commerce continues to grow and remain healthy. Chad’s “Do business with a member” campaign has been fully embraced by the leadership, and the Chamber is poised to grow its membership in a record-breaking manner in 2019. “We must continue to add value for our members. The Chamber provides great networking opportunities and referral generators for all businesses. When you join the Chamber, you have direct access to the most successful, influential, decision making business leaders in our communities. The Chamber also provides a strong voice for a pro-business commerce environment to our governing elected officials. I invite you to join me in 2019 as a Chamber member.” Chad stated. The Hillsborough/Orange County Chamber of Commerce is the primary voice for member-business development and economic growth through innovative community collaboration and exists to serve as the voice of the business community in Hillsborough and Orange County. Membership in the Chamber of Commerce lends extra credibility to your concerns about government and issues surrounding the community. The Hillsborough/Orange County Chamber of Commerce is a private, non-profit organization, funded largely through membership fees and profits from special events, receiving no funds from any governmental entity and are not affiliated with the state or federal Department of Commerce. If you would like to join the Hillsborough/ Orange County Chamber of Commerce or seek more information about the Chamber please visit http://www.hillsboroughchamber.com/ or contact them by email at info@hillsboroughchamber.com or by phone at (919) 732-8156. An unlimited licensed general contractor as well as a licensed home inspector, Hillsborough NC custom home builder Chad Collins transforms clients’ dreams into elegant, fashionable, timeless homes while maintaining a reputation for skilled craftsmanship, superior quality, and incomparable client service. Collins Design-Build is consistently ranked by the Triangle Business Journal as one of the top custom home builders in the Triangle. Chad’s commitment to excellence has earned Collins Design-Build numerous top industry awards, including the National Certified Green Professional Builder of the Year. The Durham, Orange & Chatham’s Builder of the Year, and twice awarded the coveted Triangle Sales and Marketing Council’s MAME Building Company of the Year. 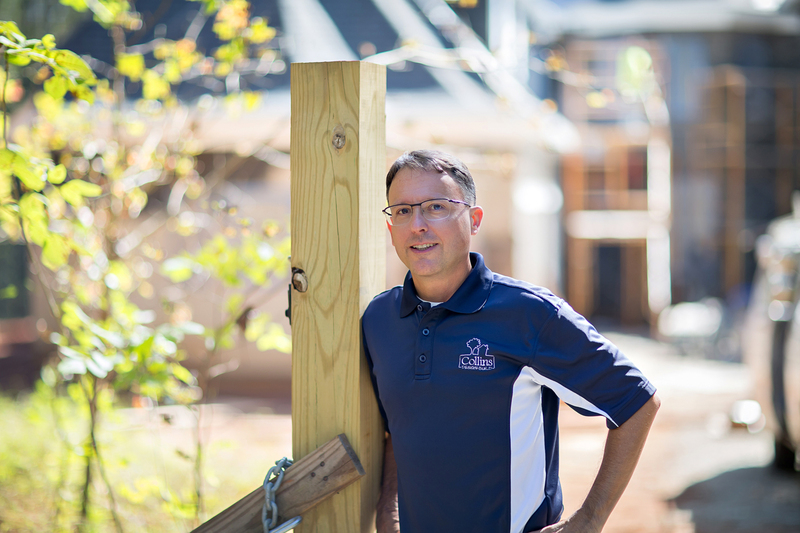 Chad is one of fewer than 50 Accredited Master Builders in the state of North Carolina. From the outset of his career, Chad quickly impressed others with his professionalism, integrity, and astute operations management skills. While in high school and college, Chad worked part time with home improvement retailers and building material suppliers, which opened opportunities to work for regional and national home builders throughout much of the 1990s. Chad capitalized on these experiences with local and regional builders to acquire considerable industry knowledge and to forge strong relationships. Earlier in his career, Chad served as a team leader to local and regional production home builders, distinguishing him by developing processes, tools, and quality-driven teams that improved ROI, cut annual costs, reduced project completion time, and decreased attrition. As a result, Chad advanced to increasingly through management positions. Evidence of his talent for coaching and leading teams is that some of the team members and craftsmen he developed over a decade ago continue to work with him to this day. Following that success, Chad was recruited by a national builder opening operations in the Triangle, and he played an important role in helping the company establish operations with a market presence in the region. His efforts in closing just under $6,000,000 in custom homes in a single year earned Chad the 2001 Builder of the Year award. Chad has earned the highest designations available, such as Accredited Master Builder, Master Certified Green Professional, and Aging-in-Place Specialist. Among other industry recognition’s, the company has received multiple Best Green Built Home STARS Awards, Major Renovation Awards and the coveted Parade of Homes GOLD Award. 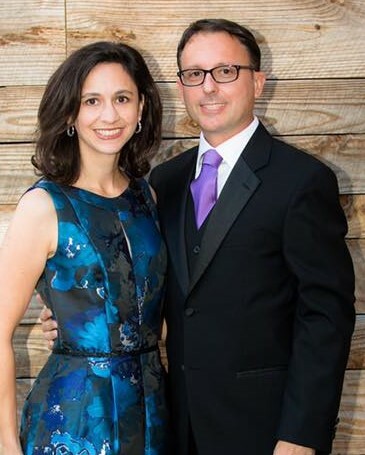 Prior to being elected as the President of the Home Builders Association of Durham, Orange & Chatham Counties, serving over 600 members, Chad was nominated to a five-year term with the North Carolina Home Builders Association as regional vice president; serving the largest territory region in the nation. Throughout his career, he has served on various boards of directors and has earned numerous top awards for membership recruitment from the Home Builders Association of Durham, Orange, and Chatham Counties; the North Carolina Home Builders Association; the National Association of Home Builders; the Triangle Community Coalition; and the Hillsborough/Orange County Chamber of Commerce. Chad is honored to be an approved speaker for the National Association of Home Builders Chad has written and taught several courses on green building as well as project management to fellow builders across the Southern United States. He is also an instructor for Duke University’s OLLI Continuing Education Program, serving as the Aging-in-Place Specialist.